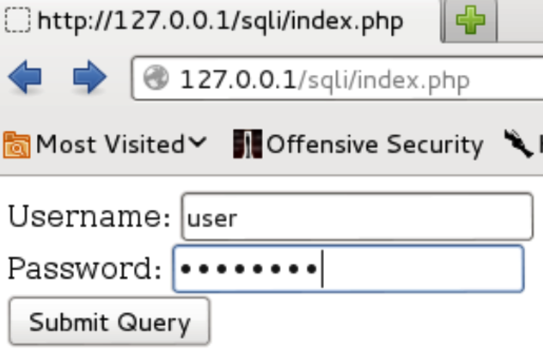 SQLi, or Structured Query Language injection, is a widely known injection technique used to attack the underlying database of a web application. 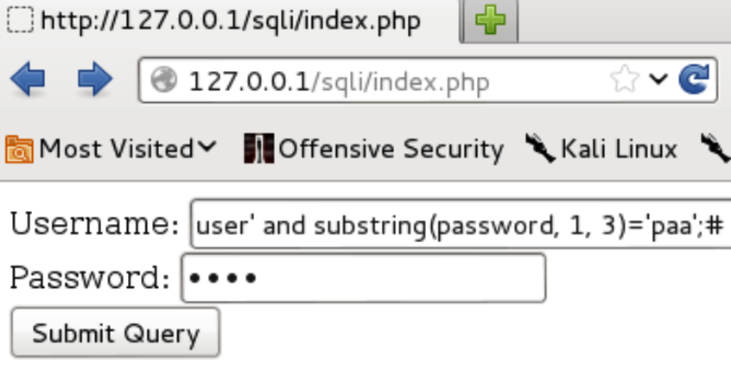 From a historical standpoint, SQLi is commonly referred as a technique to access a structured database; however, injection attacks are also inherent in the more recent NoSQL technologies (like MongoDB, Elasticsearch, CouchDB, etc.). Therefore, the intention of this post is to provide an overview of what SQLi is, the various types and how it pertains to structured and unstructured databases. We’ll also go over examples of how the attacks are performed and some recommendations on how to defend against SQLi attacks. Read sensitive data from the database. Execute administration operations on the database (such as shutdown the DBMS). Issue commands to the operating system in some cases. First Order Attacks - The injection attack has an immediate response whether it be returning data from the database, altering data or executing a command. 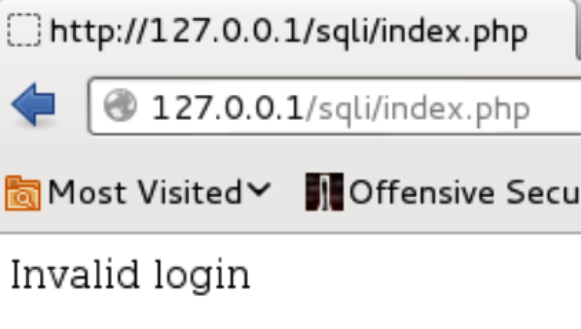 Second Order Attacks - SQL data is entered into the database and ultimately executed during a future request (for example, when an administrator is logged into the administrative console). 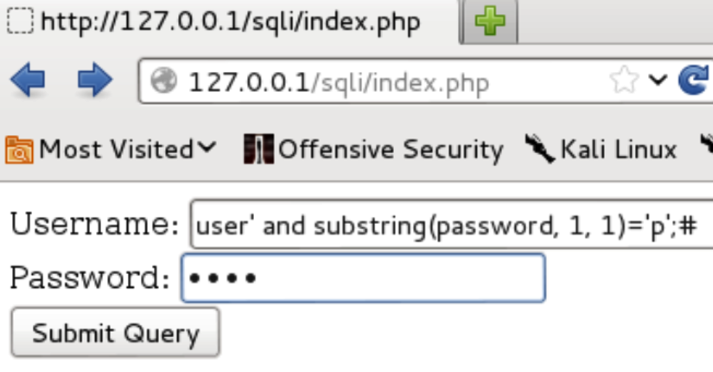 Blind SQLi - The attacker asks the database true/false questions to infer information regarding the data, the database or the underlying operating system. Let’s go over each individually. First order attacks are what most people think about when talking about SQLi. A common example involves a vulnerable web form that returns queried data to the user, like a search form. 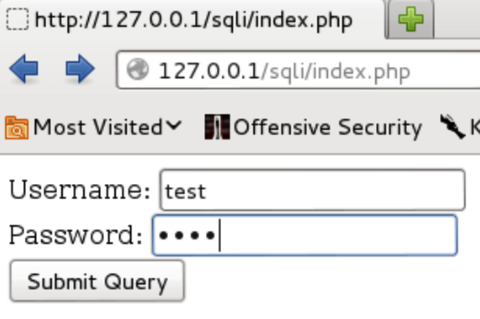 An attacker would enter a single tick (‘) in the search field, which is passed directly to the database via a query constructed by the web application. As a result of the addition of the single tick, the SQL query will be invalid and cause an error in the application. The web server or the application would recognize this and generate an error page. The attacker would then attempt to modify the query by inserting a valid SQL statement, typically via a UNION statement, to return additional information from the database. If successful, usernames, passwords and other sensitive data could be included in the results. Second order attacks are a little more complicated and require additional actions for the attack to complete. For example, let’s say an attacker was able to update a piece of information contained within the database, and the update included valid SQL code. The application properly escapes the data prior to storing it in the database, which prevents SQLi from occurring within the initial query. However, this data is utilized by another SQL query that does not properly sanitize the data and does not use parameterized values. As a result, when the SQL data is inserted into the second SQL query, the code is executed by the database. User exists -> The query was valid, and the attacker verifies the answer to the query to be true. User does not exist -> The query was invalid, and the attacker validates the answer to the query is false. 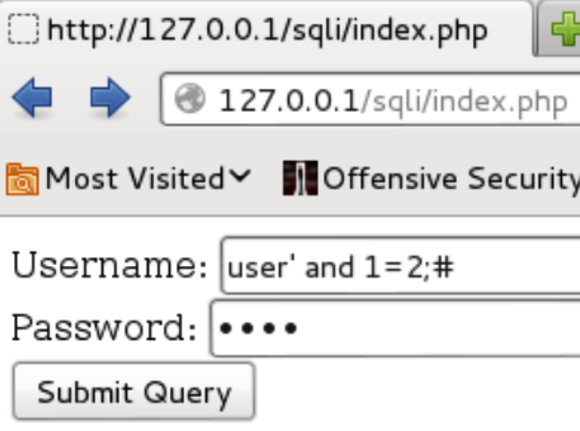 Static answer -> The attacker inserts a time-wait into the query. Immediate response -> The answer to the query is false. Delay in response -> The answer to the query is true. The attacker could attempt to extract data from the database using the true/false scenarios. Some examples will be provided later in this document. SQLi is commonly associated with relational databases (structured); however, the same rules apply to NoSQL (unstructured) databases. 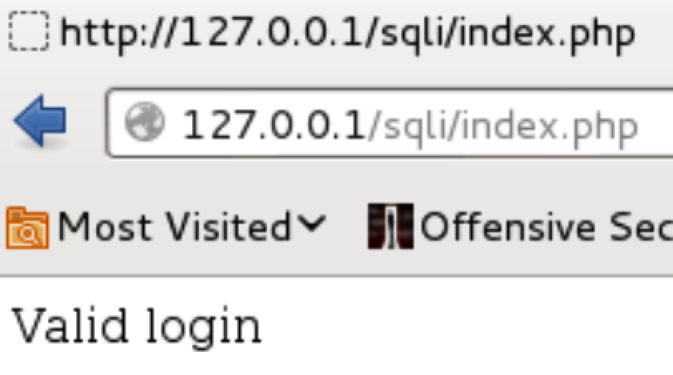 More importantly, many developers believe that NoSQL databases are not vulnerable to SQLi. This could not be further from the truth. 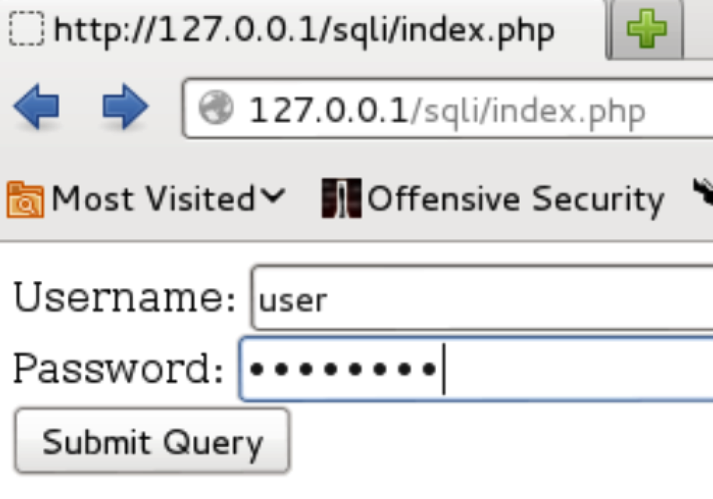 A vulnerable web application that utilizes a structured database and generates in-line queries (vs. using parameterized queries) is susceptible to SQLi. 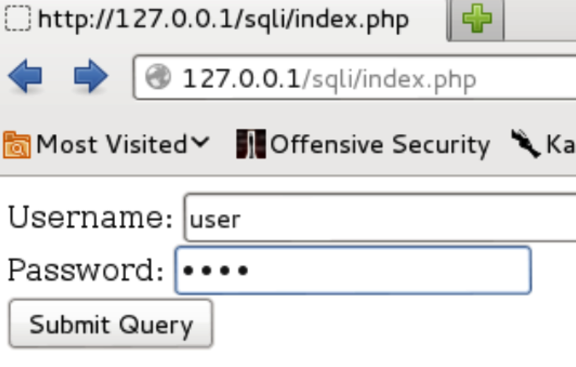 The injection point is where the user supplied data in inserted into the query. If the data is not properly sanitized, an attacker could insert data that would be interpreted (or executed) by the database system. As a result, the attacker could ultimately modify the original query, execute additional queries or possibly execute commands on the underlying operating system. Inject data into the $where clause, which could alter the results of the request or execute additional commands. Inject operators into the request, which could alter the original meaning of the request. 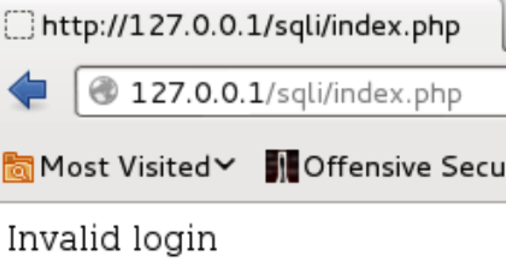 The following example describes one of the most fundamental SQLi attacks. 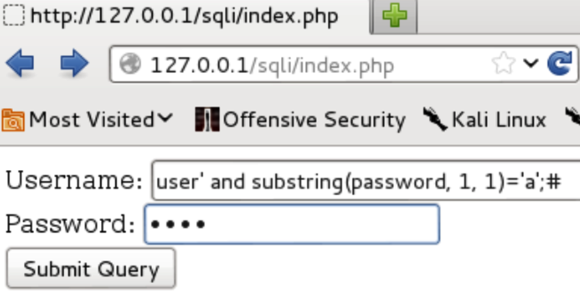 To demonstrate this, and the following structured database injection attacks, a vulnerable application was developed using PHP and MySQL. The application provides a typical login form where the user will pass the username and password to login to the application. The application will generate the queries using in-line strings vs. parameterized values. As a result, any data that is submitted via the form will be injected directly into the query and sent to the database. The first single quote closes the search of the user field and the 1=1 will always be interpreted as a true statement. Therefore, the string will be interpreted as “give me all records where the user is an empty string or true,” which will always be true. As a result, all rows will be returned from the table. As you can see, the admin password has been successfully changed. 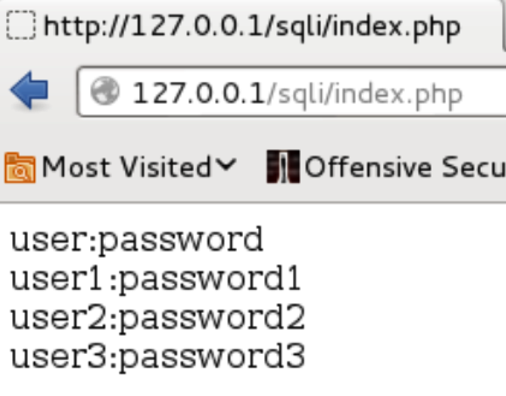 The password change is possible due to the fact that the second query does not properly escape the data contained within the grp field prior to generating the second query. 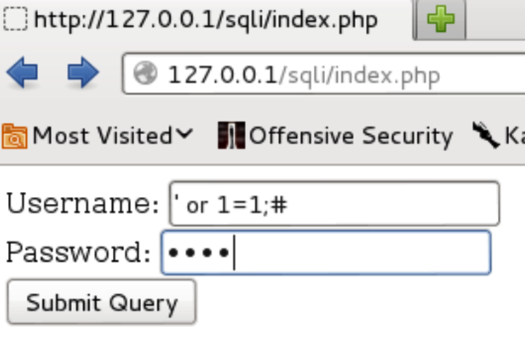 and the SQLi response stating it is not an "a"
The attacker receives the “Invalid login” response, which indicates that this is incorrect. Additional requests would be generated for every letter of the alphabet until the letter “p” is reached. The “Valid login” response is received, which indicates that the first letter of the password is “p.” The same logic will be applied to each position within the password string. 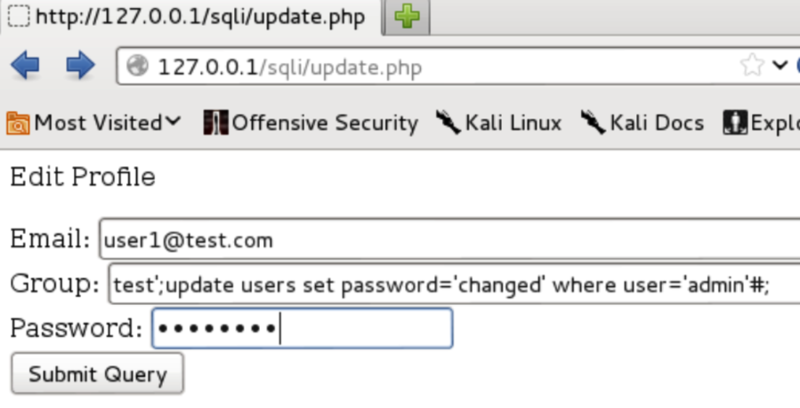 The next example shows attempts to find the third character in the password string. 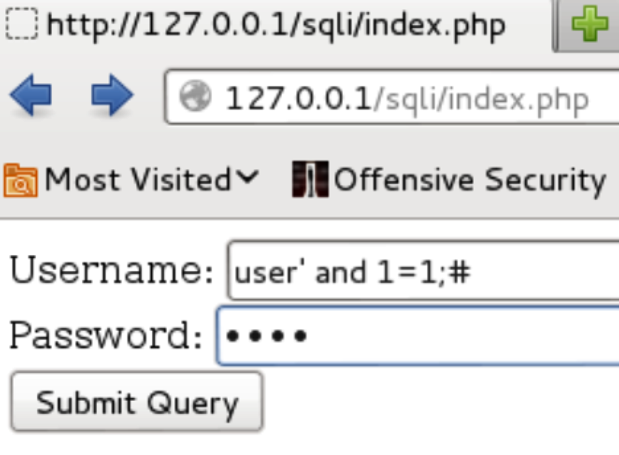 Each time a letter is discovered, a standard login request is made to determine if the full string has been identified. This process would be repeated until each character position is identified and a successful login is achieved. 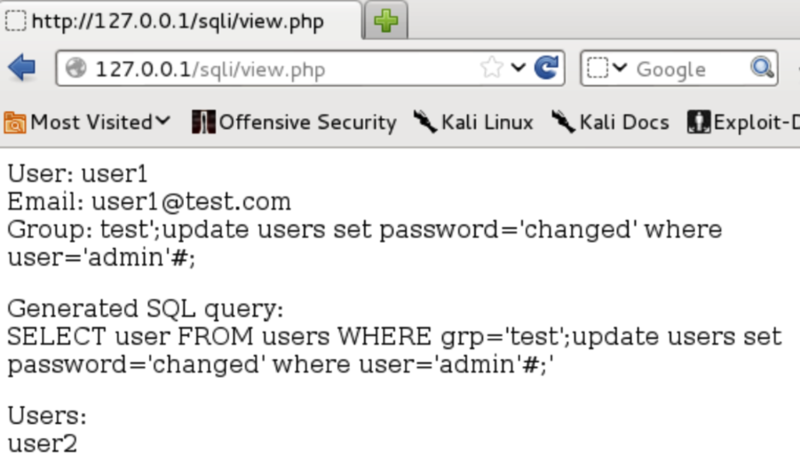 One way to inject code into an application that uses PHP and MongoDB is to insert objects into the original query. If we append [$ne] to the form fields and set each field to 1, we get the following request/response. The most effective way to prevent structured SQLi is to utilize parameterized queries, which prevent client data from altering the original query structure. Regardless of the characters entered, all data will be interpreted as text and submitted to the database as a value and not a portion of the query logic. User input validation should always be included as a sanitization step regardless of whether or not parameterized values are used. Input validation is extremely important if parameterized values are not used. All input variables should be validated to ensure the respective values are consistent with the expected data. 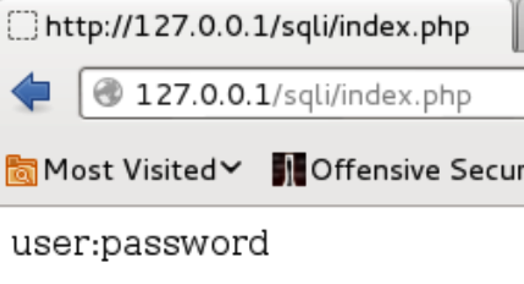 Under no circumstances should user data be inserted directly into a SQL query. With regards to unstructured databases, the mechanism for generating safe queries is very dependent on the NoSQL database in use and the programming language utilized by the web application. Because each is different, you should reference the manual for each to determine the proper way to generate safe queries.